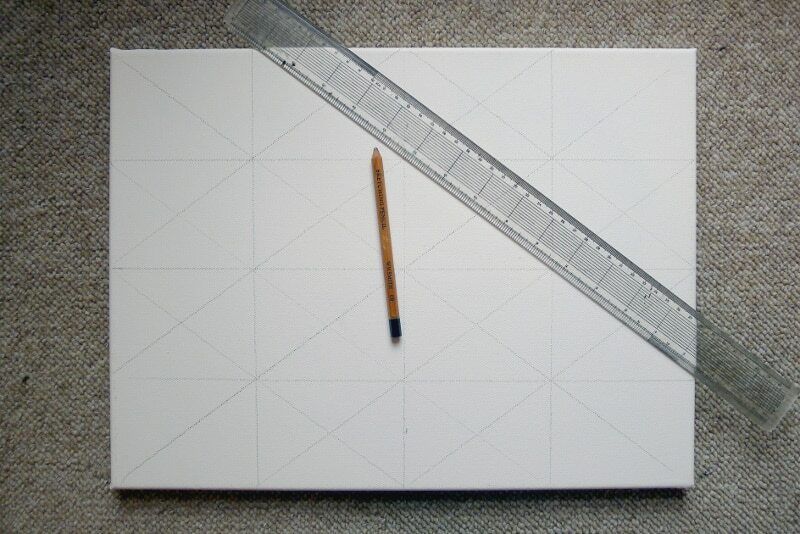 …then your canvas must also be the same 3:2 ratio. The easiest way to achieve this is to manipulate your photograph on your computer before you start, either by cropping, resizing or adjusting the print size – You can get excellent FREE image manipulation software here at http://www.gimp.org. 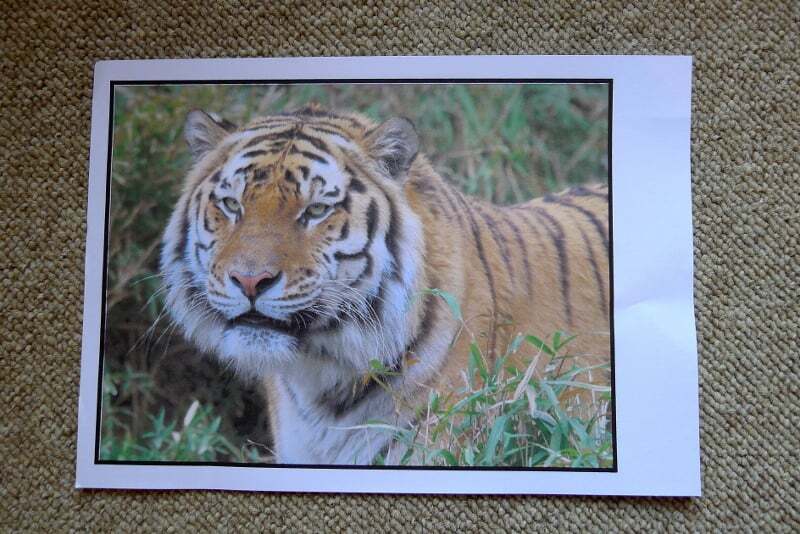 Be careful when resizing photos to change the aspect ratio though, as this can make them look out of proportion if overdone ( tall skinny tiger, or short fat tiger ). 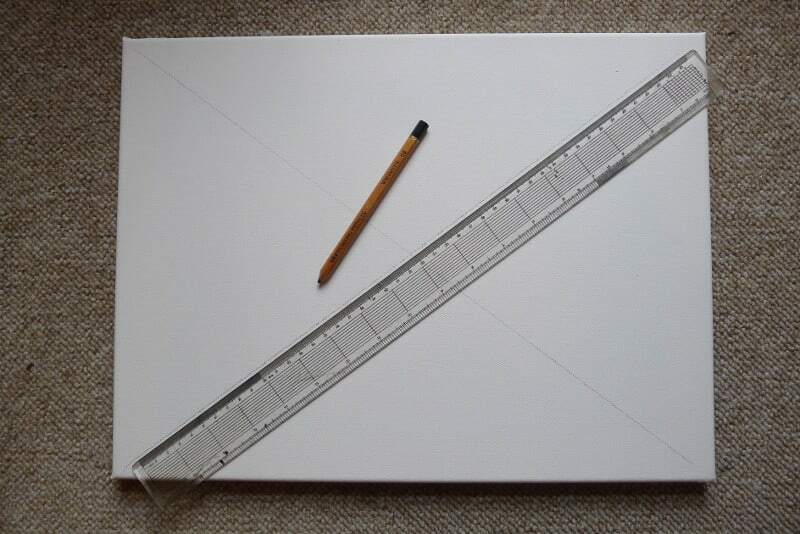 Now measure half way across the bottom of the canvas and make a mark, do the same at the top, draw a line along these two points to divide the canvas into two halves. 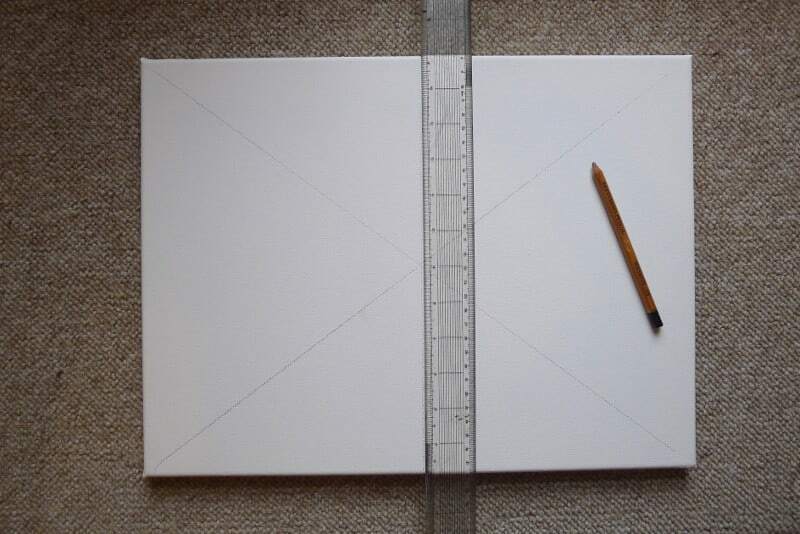 Follow the same principle for dividing the canvas into two, top and bottom. 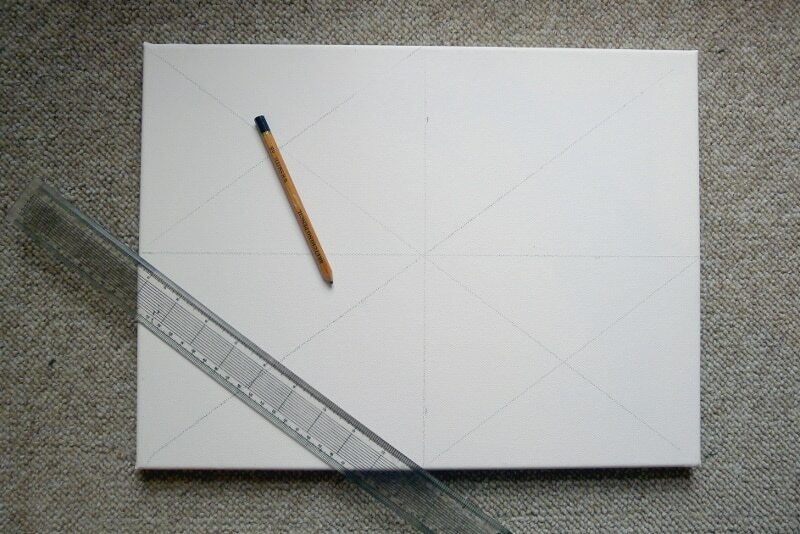 Draw diagonal lines through each of your new 1/4 canvas squares, as below. Now line up the intersections of these new lines you just made, and draw a line vertically, top to bottom. 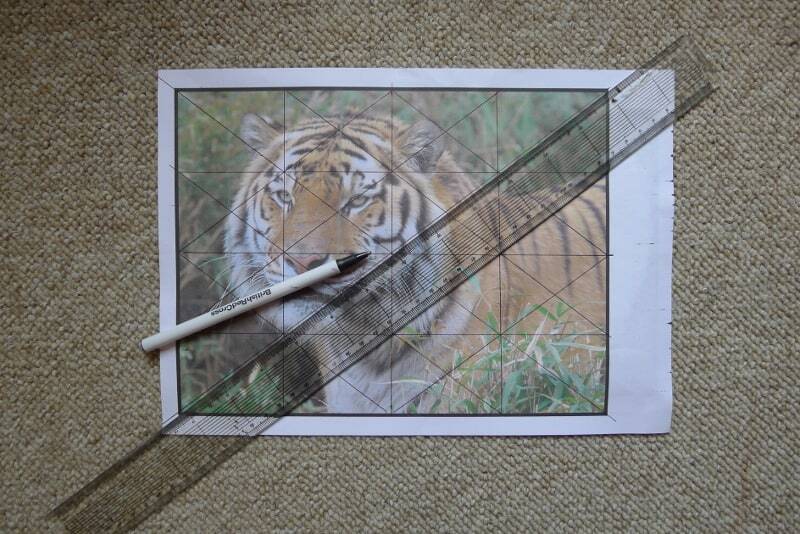 Follow the same principle to draw lines through the intersections horizontally, as below. 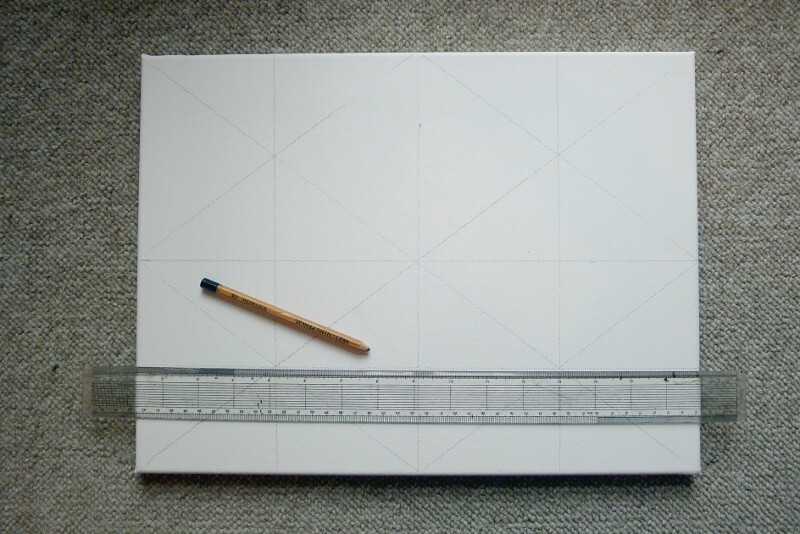 Now divide the canvas further by drawing lines through the intersections that haven’t been lined though yet, as below. Draw lines through those same intersections the other way, as below. 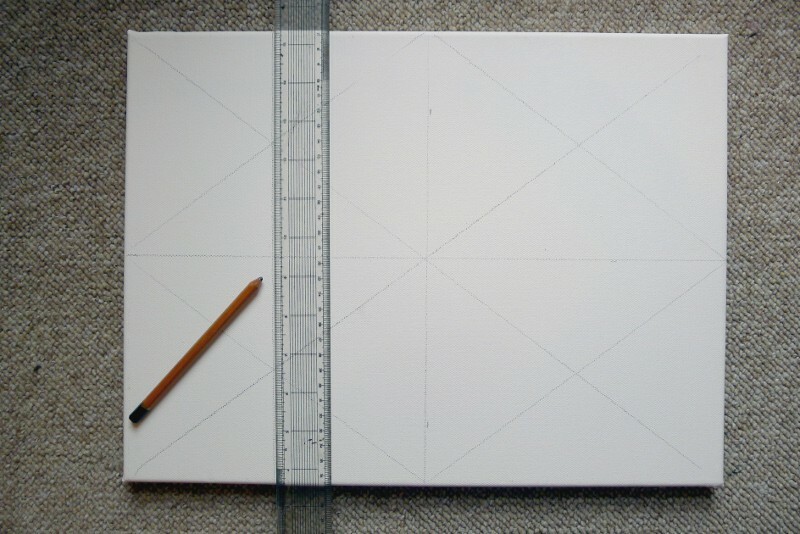 Now print out your reference photograph and divide it up by drawing lines on it in the same way that you just divided up your canvas, as below. Note that this photo is not the same size as my canvas, in fact, no where near, but.. importantly… it’s the same aspect ratio 4:3. 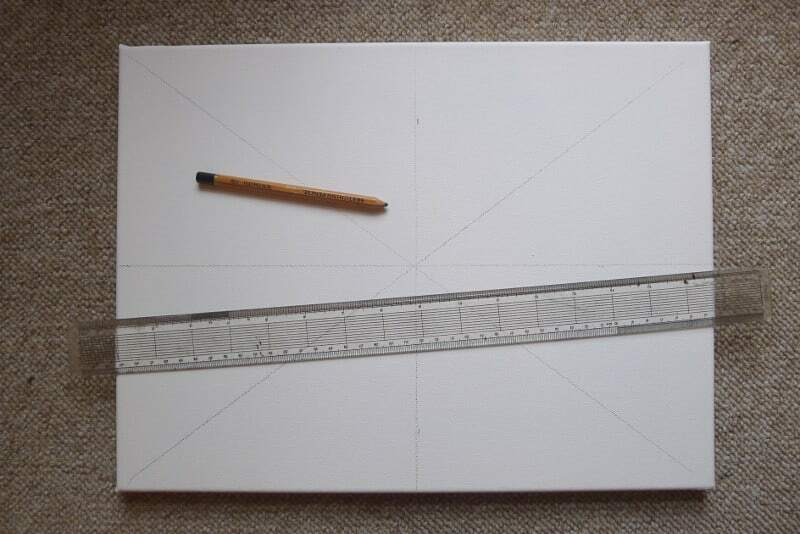 Let the fun begin – All you need do now is transpose what you see in each of the sections you’ve made on the photograph onto the corresponding sections you’ve made on your canvas, as I’ve begun to do below. Now of course, you could keep going with the principles above and continue to divide your photograph up even further, into even smaller sections. 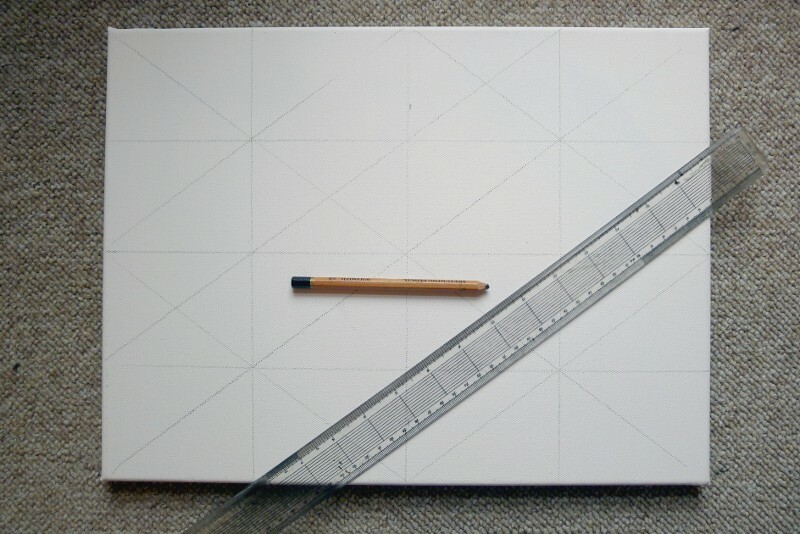 If your photograph is very complex, or you think there is still too much room for error, continue to divide each small triangle on both canvas and photograph further. 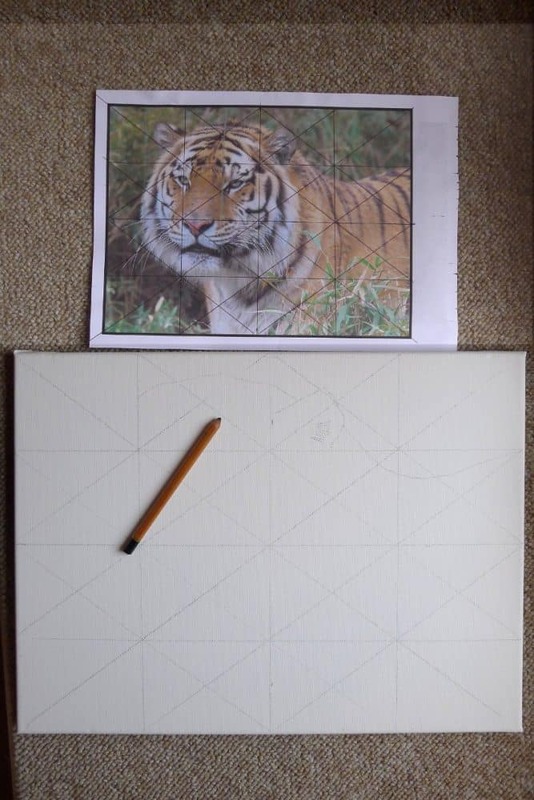 This is the method I use for most of my wildlife, portrait and pet portrait paintings. I rarely use this method when painting landscapes as I seldom need,or want, my landscape paintings to resemble the photograph accurately. Give it a go and let me know how you get on. If you have any problems get in touch. See the finished tiger painting here.